Ever since I started working at Virginia ABC, I’ve been meaning to wash out our growlers and hit up Growlers to Go on the Boulevard. The Friday before Father’s Day, my husband and I finally got around to stopping by. We met up after work and headed inside, where a small, open space with a back wall lined with taps awaited us. A large board hangs above the row of taps listing the fifty or sixty different beers, ciders and other beverages (kombucha, cream soda and root beer!) available. The board shows how much of each item is left, and the friendly staff offer each visitor up to four samples before you make your purchase decision. My husband chose a German Hefeweizen, Franziskaner, and I picked an Isley Brewing peanut butter stout called “Choosy Mother.” Both were delicious, but the peanut butter stout was really amazing. You could definitely smell – and taste – the peanut butter, but it wasn’t overpowering. Honestly, it was one of the best stouts I’ve ever had. My Father’s Day gift for my husband this year was something he’s mentioned but would never actually buy for himself. 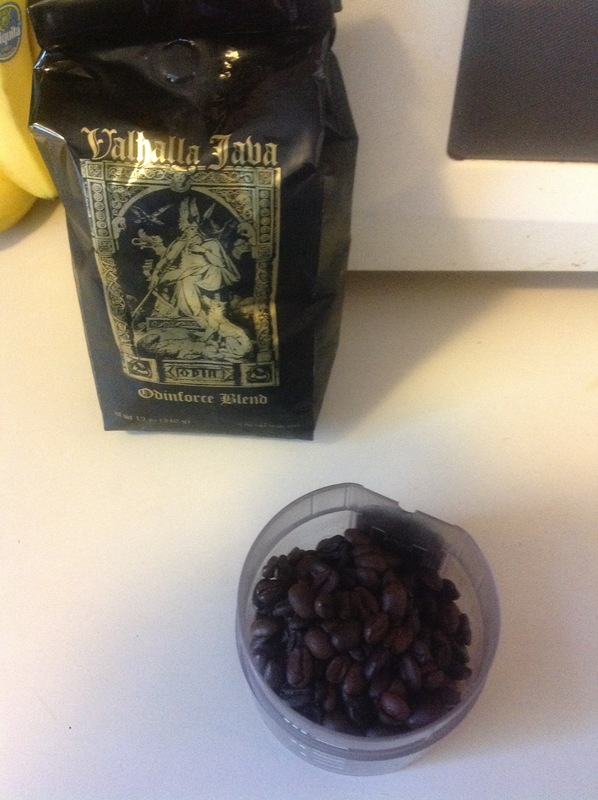 I got him a French Press and a bag of Death Wish Coffee Co.’s Valhalla Java Odinforce blend. This dark, whole bean, organic coffee was made for guitarist Zakk Wylde, and is the most delicious coffee we’ve ever tasted. I don’t know whether it’s the quality of the beans, grinding them fresh, or using the French Press, but this coffee – hot or made as cold press for iced coffee – is smooth, rich and flavorful. 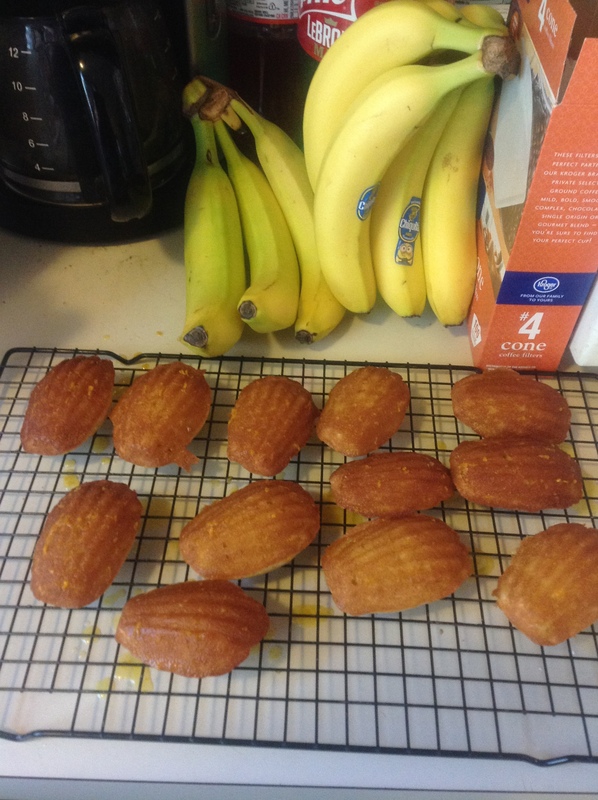 We made a yummy crab and shrimp steampot for dinner, and for dessert I made one of my favorite French treats with a gourmet twist: orange cardamom madeleines. madeleines require a specially-shaped pan, which is first greased with butter. Mix and whisk the dry ingredients first: 3/4 cup flour, 1 tsp. baking powder, 3/4 tsp. ground cardamom and 1/4 tsp. salt. Next, melt 1/4 cup butter in a small saucepan, then remove from the heat and stir in 1 tbsp. honey and 1 tsp. vanilla extract. Preheat your oven to 325 degrees, and mix 2 large eggs with 1/4 cup sugar in a separate bowl. 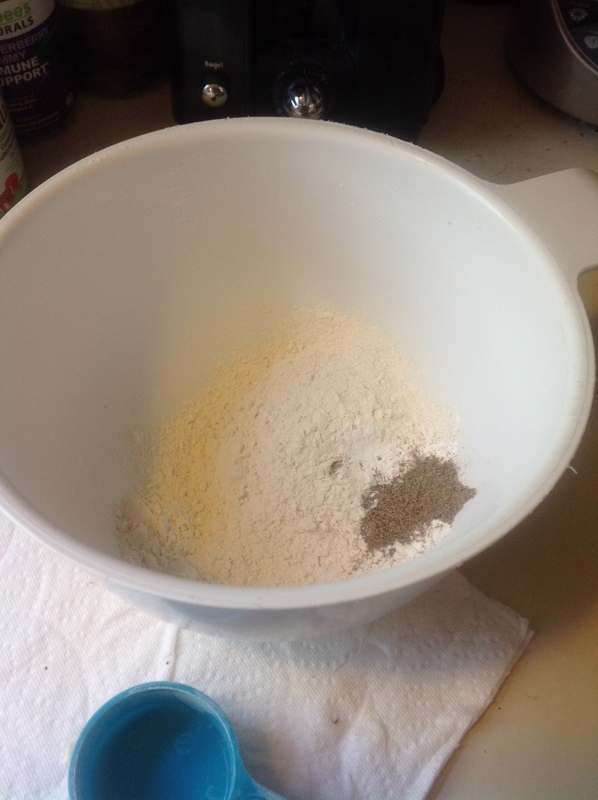 Fold the flour mixture into the egg and sugar mixture, then fold the butter mixture into the batter. Refrigerate the batter for about thirty minutes, then spoon the batter into your madeleine pan, filling each mold about halfway. Tap the pan gently on the counter to remove air bubbles, then bake about 7 to 8 minutes, until golden brown and puffy. 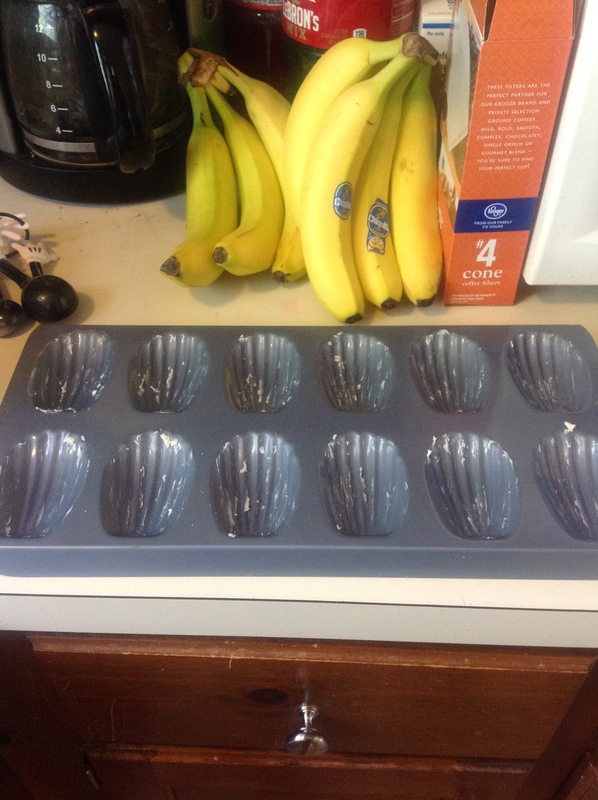 Let cool first in the pan, then un-mold the madeleines and allow them to cool to room temperature. To glaze them, mix 1 tsp. freshly-grated orange zest, 2 tbsp. orange juice and 3/4 cup confectioners’ sugar. Brush the scalloped side with a pastry brush dipped in glaze. Delicious! Unfortunately, there are several different stories about how madeleines were invented. Even the Bible of French cuisine, the Larousse Gastronomique, has two different origin stories. Suffice it to say that, sometime in the 18th (or maybe 19th) century, a baker named Madeleine created the delicious treat we now enjoy.